Carry on with the festivities at Marco Polo Plaza as it celebrates Cebu’s grandest festival, Sinulog, with the hotel’s most iconic Culinary Journey – Sugbusog. Café Marco kicks off this year with its first Culinary Journey, Sugubusog Gihapon, keeping the tradition on featuring a feast of classic Cebuano favorites such as lechon, humba, barbecue, puso and more! Keep the tradition and celebrate this vibrant festival with us! Discover more of Cebu through a gastronomic adventure starting at Cebu’s best premium buffet restaurant, Café Marco, from January 15 to 21. CEBU LECHON. 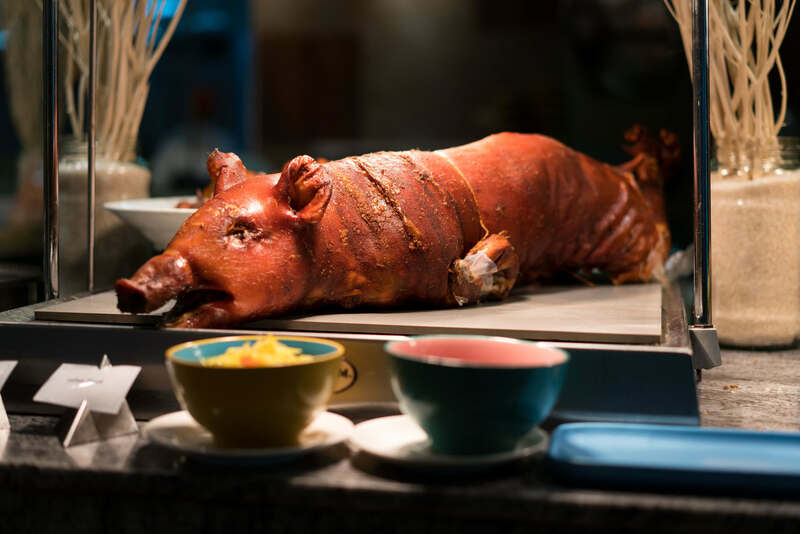 Culinary favorites like lechon, humba, puso, and many more are on the menu during the Sugubusog Gihapon from January 15 to 21 at Café Marco in Marco Polo Plaza Cebu. Celebrate the city-wide fiesta with your family and friends at Marco Polo Plaza Cebu with this exciting Culinary Journey at Cafe. Eat, Pray and Pit Señor! For inquiries and reservations, call 253-1111 or email [email protected]. Visit the website at www.marcopoloplazacebu.com. SINULOG DANCE. Performs dance the Sinulog at the Marco Polo Plaza hotel lobby.